As your local INFINITI retailer, we know that you are looking for the highest quality INFINITI models. We have a great selection of comfortable, luxurious, performance-packed sedans like the INFINITI Q50 to get you through your daily commute on the I-5. We also have incredible All Wheel Drive crossovers like the INFINITI QX60, a perfect vehicle for heading over to the ferry to cross the Puget Sound to Bainbridge Island for a weekend family camping trip at Fay Bainbridge Park. 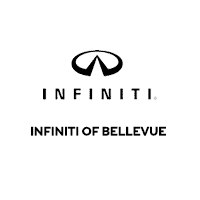 The perfect INFINITI to suit your needs and lifestyle is waiting for you right here at Seattle INFINITI retailer, INFINITI of Bellevue.